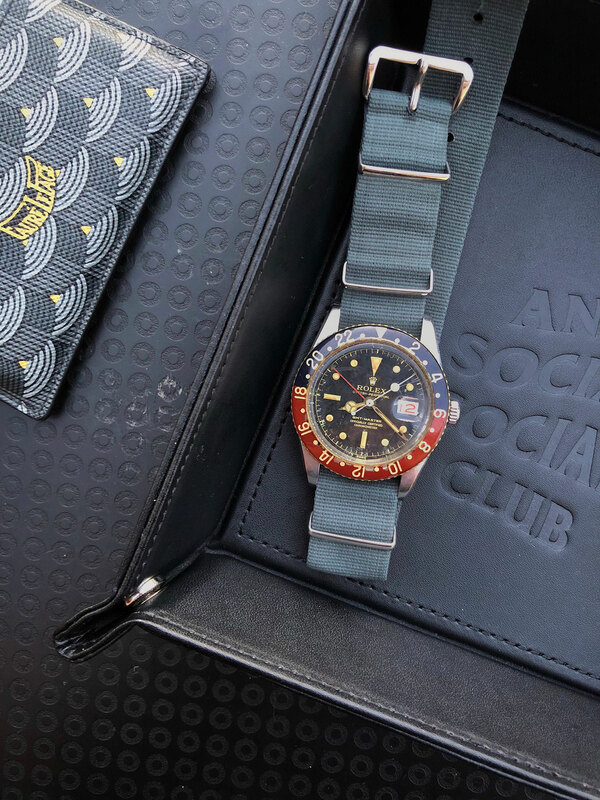 Hi Andre, what’s your daily watch and why? I’m currently wearing my Rolex 6542 GMT as my daily watch. 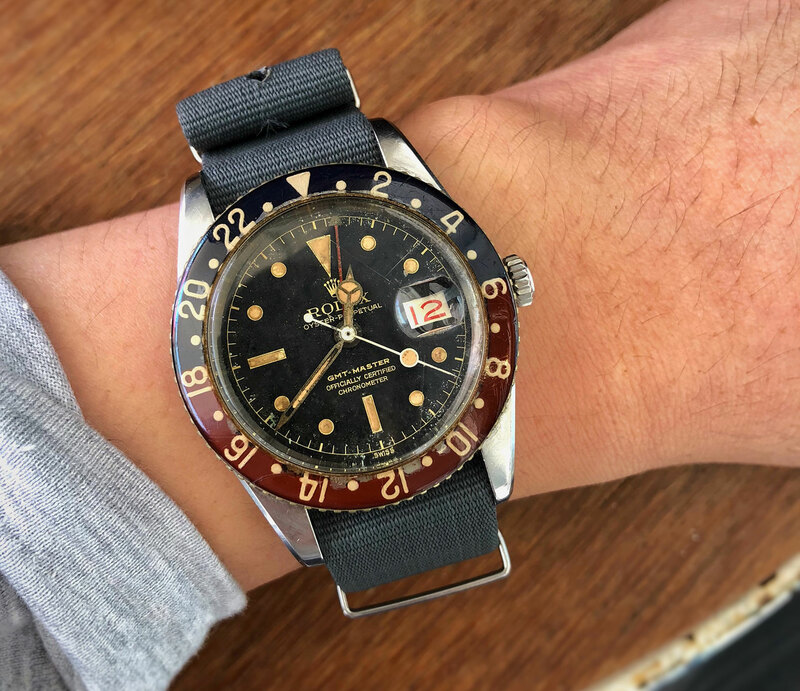 While wearing the very first Rolex GMT reference as an everyday watch sounds crazy to most people, it’s one of the most wearable watches in my collection. Most of my watches are from the 1940s-50s, so a lot of them are a lot more fragile than the Rolex. Especially the early 1940s watches that don’t have Incabloc (shock absorber), and are not water resistant, let alone waterproof. What else is in your collection, is there a favourite? I’m a multi-brand kind of guy because I love all watches. I have other brands in my collection, like Gallet, Jaeger-LeCoultre and Omega, but my orbit of existence is Universal Genève (UG), and my absolute favourite piece is an oversize stainless steel UG Tri-Compax ref 22536 circa 1944. What’s that next piece you’re looking to buy? 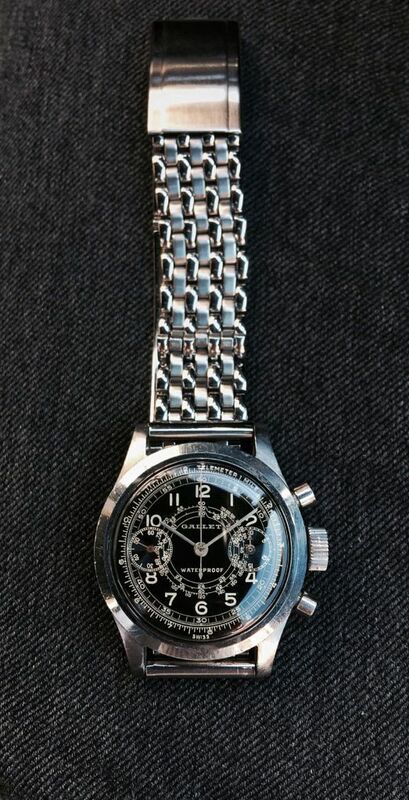 Vintage Longines chronograph with the legendary 13ZN movement. I’ve been waiting for the past two years for the “right” one to pop up; fingers crossed, 2018 is the year for it! What do you look for, regarding criteria, when buying a watch? It’s all about the dial for me — it needs to be attractive. And because I collect vintage watches, the condition matters. I have been living in Australia for seven years now, and for the past five years, I am fortunate enough to have lived only a few minutes away from some of Sydney’s most beautiful beaches. So I would typically go for a walk along the coast, enjoy the beaches, and go to sunny cafes. 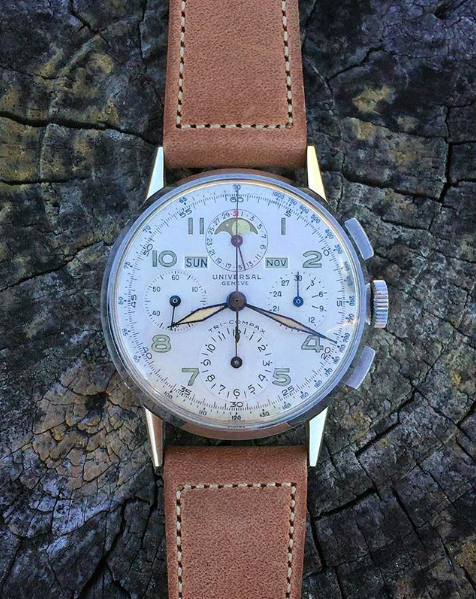 Tell us about your recent ‘barn find’ purchase, the 6542 GMT. Was it something you’d been on the hunt for? I found it on a local Facebook watch group. 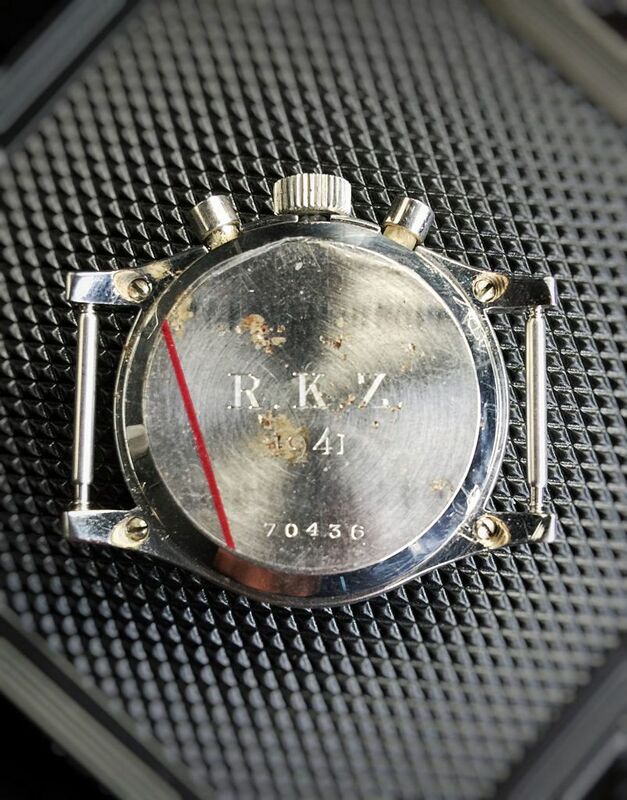 A watchmaker in Melbourne was selling the watch on behalf of an elderly gentleman, who was the original owner. I flew from Sydney to Melbourne, where on that day Melbourne was expecting a severe storm and unprecedented deluge. My flight back to Sydney was cancelled due to the weather conditions, but it was all worth it in the end. 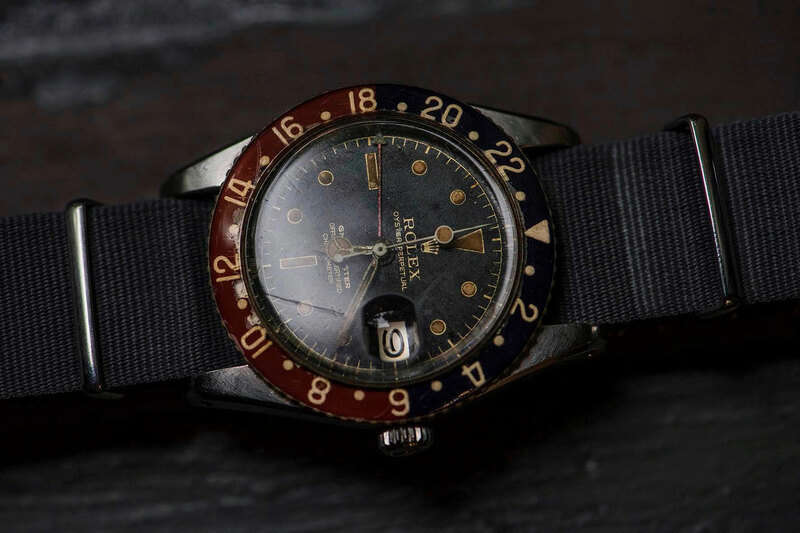 It is one of the Rolex references that I’ve always wanted; it’s a grail to collectors, and historically an important watch. But due to the rarity and the stratospheric price tags from recent auctions, it’s something that I never thought I’d own anytime soon. So, no, it’s not something that I’ve been on the hunt for. But I think that’s how it works. Sometimes, you’ll find something when you’re not even looking for it. 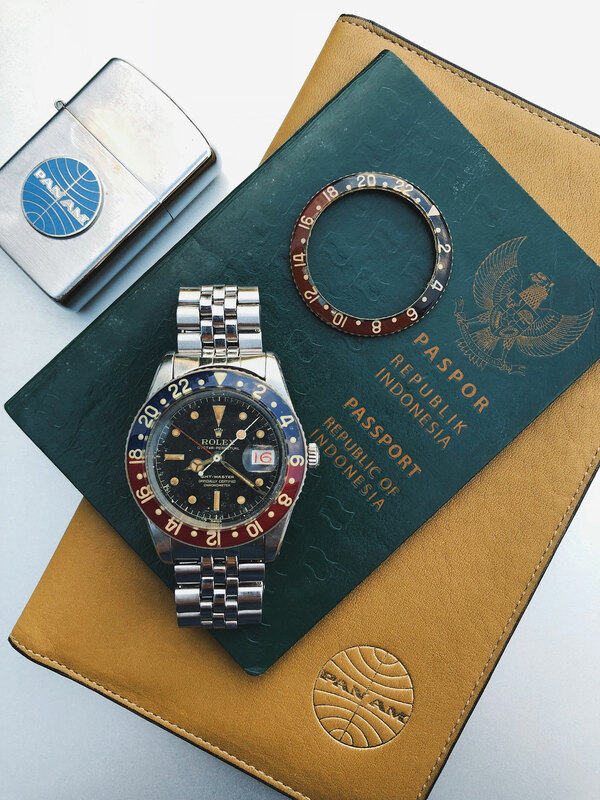 You’ve got an impressive vintage watch collection, with a specific interest in UN. What is it that draws you to the brand? Thank you! I always have a fond interest in retro, vintage and antique stuff. One day I was browsing the web looking for some vintage Hermès pieces, which led me to a beautiful old Hermès chronograph watch. It turns out that the watch was made by UG for Hermès. And that ignited the spark that now leads me to have amassed my current watch collection. I also noticed an exceptional GP Tri-Compax in your feed – what’s the story behind this piece? The watch was made by UG, who back in the 1940s made exceptional chronographs for other brands like Eberhard, Jaeger-LeCoultre, Vacheron Constantin, Zenith, and, of course, Girard-Perregaux was one of them. All of these brands with the UG-powered movements are much rarer than the UG watches themselves. The GP Tri-Compax is one of the rarest ones out there, and it took me more than two years to finally find one in the right condition! And I have to ask – the Gallet MultiChron, where did you get this piece and what do you love about it? Why did you buy it? 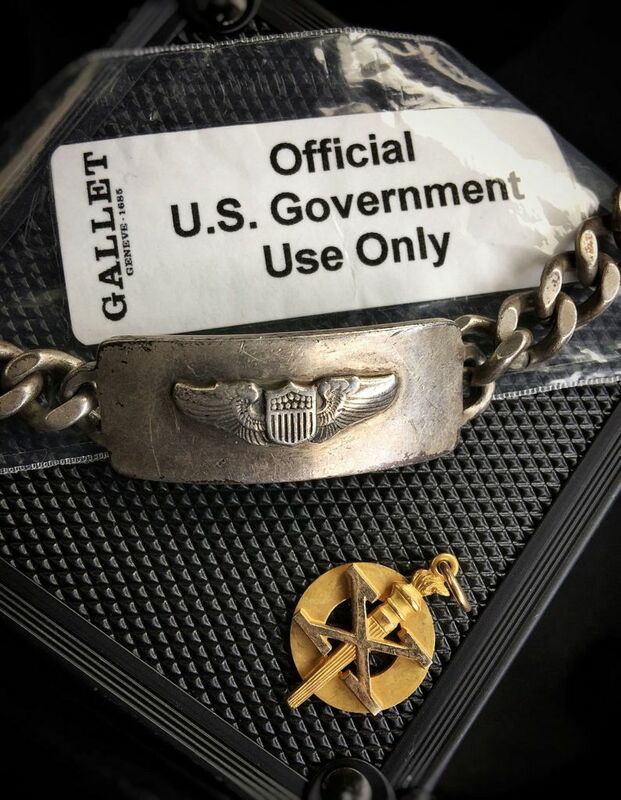 It was from eBay, and I love the provenance behind the watch. The seller of the watch is an antique picker who found it in an old military trunk amongst other personal belongings of the previous owner. 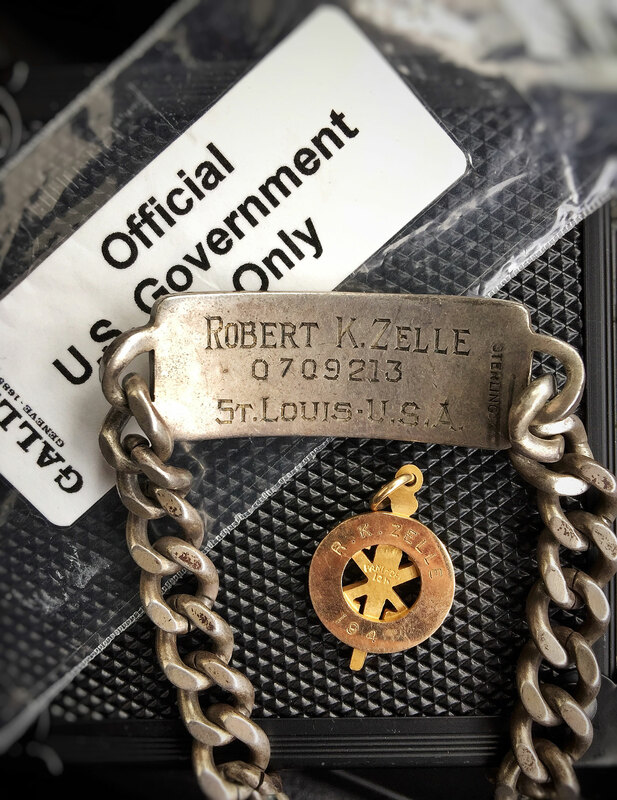 The last owner was a Yale-educated, World War II pilot from St. Louis, Missouri. He was a war veteran, accomplished entrepreneur and noted philanthropist. The initial of the previous owner is engraved on the caseback of the watch, meaning I was also able to obtain some of his artefacts. This includes his USAF sterling silver bracelet and his Yale society pin, which also has his initials engraved on them. Provenance aside, I would buy the watch because of the rarity of the watch itself. It’s a very rare black gilt dial Gallet MultiChron 30M with a “Clamshell” case. The case consists of a two-part case, one part fitted over a specialised flared crystal, and then the second component. Those two parts are then clamped together and screwed down at four different points, with the screws located under each lug. I believe it is one of the very first waterproof chronograph cases ever made. President Truman’s Gallet watch also has this particular “Clamshell” case.